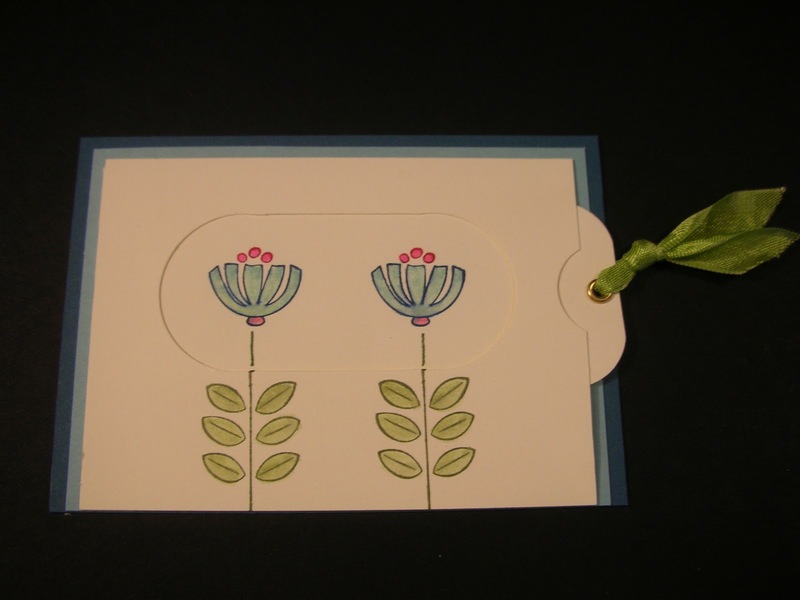 Inking It Up With Cathy: Technique Tuesday – Hello Spring!!! I have decided to add a new feature to my blog – Technique Tuesday! 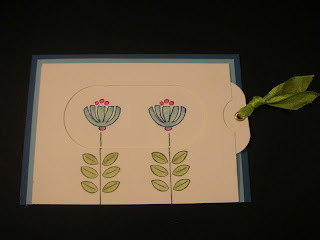 Each Tuesday, I will post either a technique or a specialty card with instructions on how to do it. 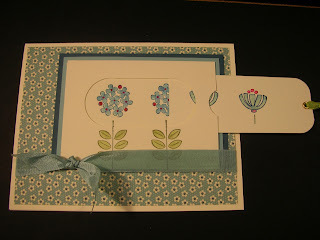 This week, I decided to show a Surprise Tag card which my thoughts headed to spring after an interesting winter. 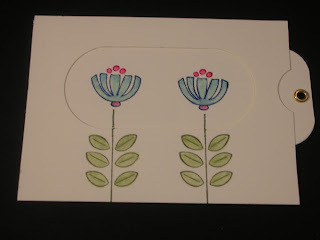 Measure ½” from top and both sides of one of the two rectangle pieces and draw lines on the back of the cardstock. Line up edges of 1 ¼” punch with the top line and the lines on the sides as shown above and punch out. 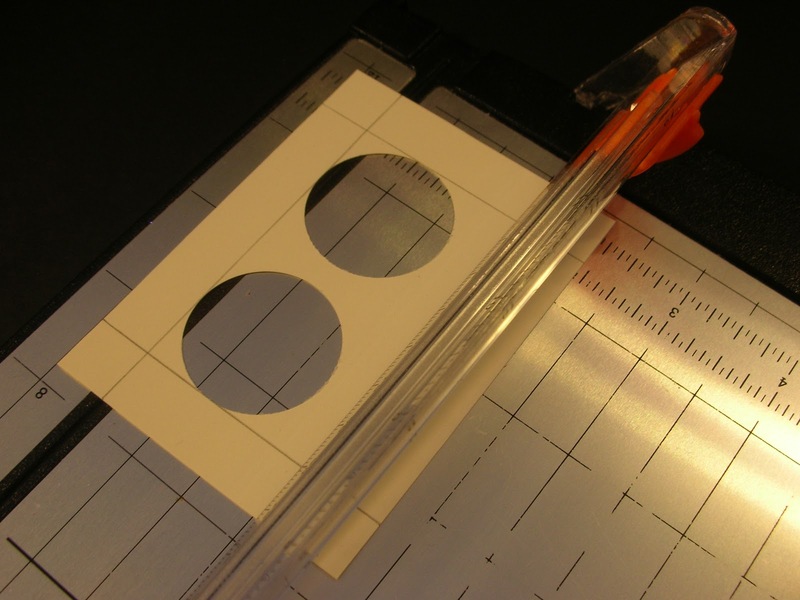 Line up top of punched circles with cutting track in cutter and cut between the two circles. 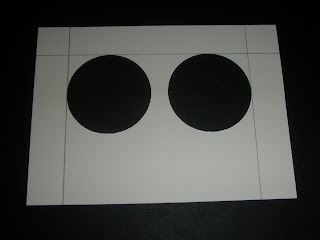 Turn cardstock around and repeat on bottom of punched circles. 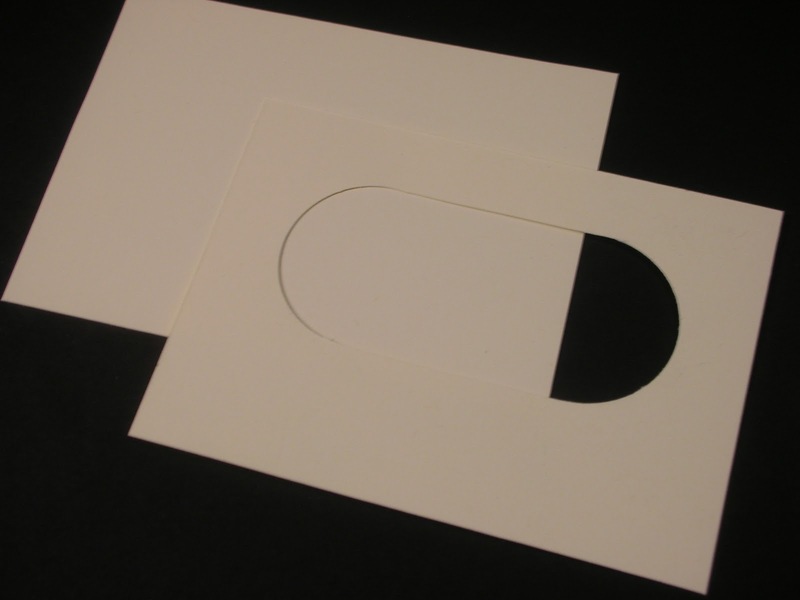 You should end up with a piece as shown above (shown from the front without pencil lines). Lay tag piece on top of circle punched piece so the tag covers the punched area. 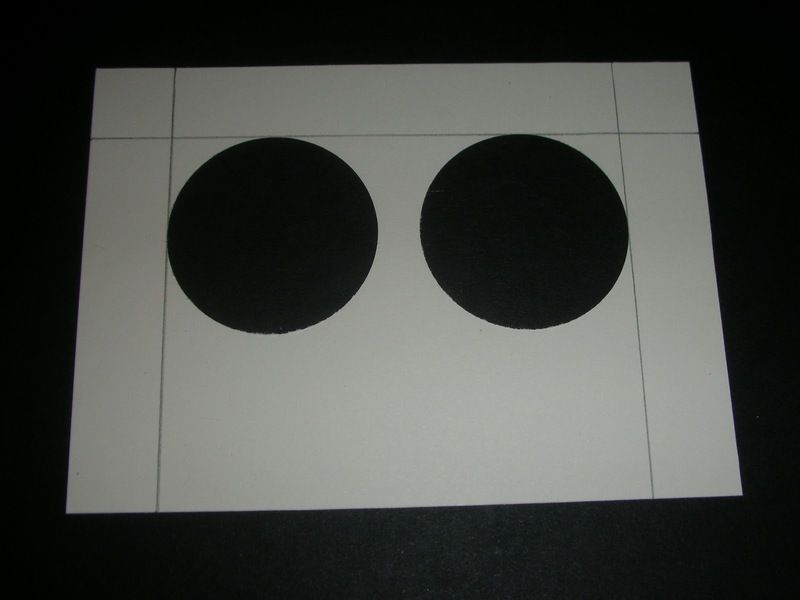 Place adhesive at the top, bottom and end of circle punched piece. 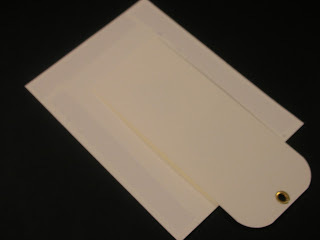 Also place adhesive just below the tag bottom. Remove tag and line up circle punched piece with the other same-size piece. Check to make sure that tag will slide in and out. If it is too difficult, trim tag a little bit. Punch corners on one end of tag piece and set eyelet. 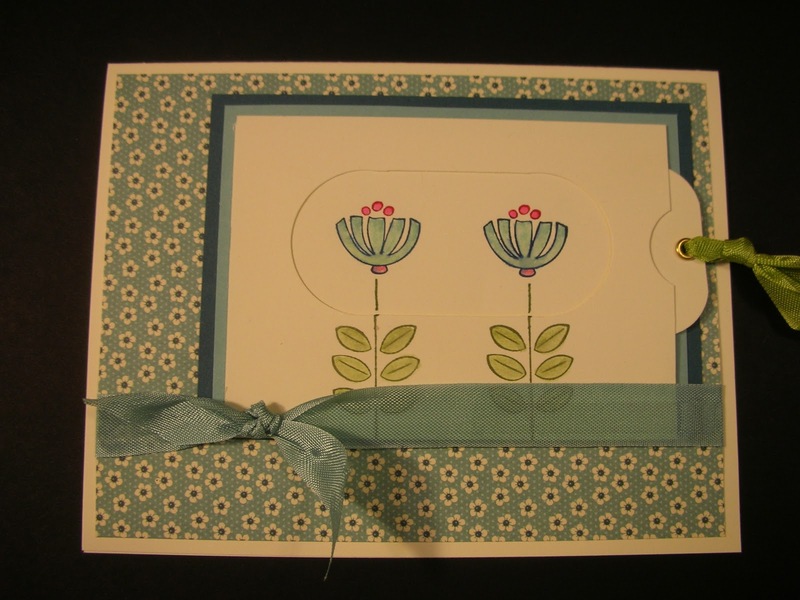 Stamp blooming flowers inside circle punched area and stamp stems on front of piece. 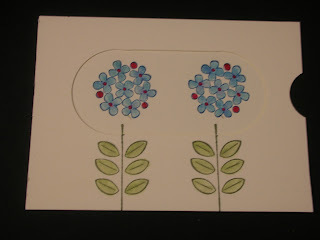 Use a marker to draw the stem up to the flowers in the punched area. Using ¾” circle punch, punch side of piece where tag slides in. 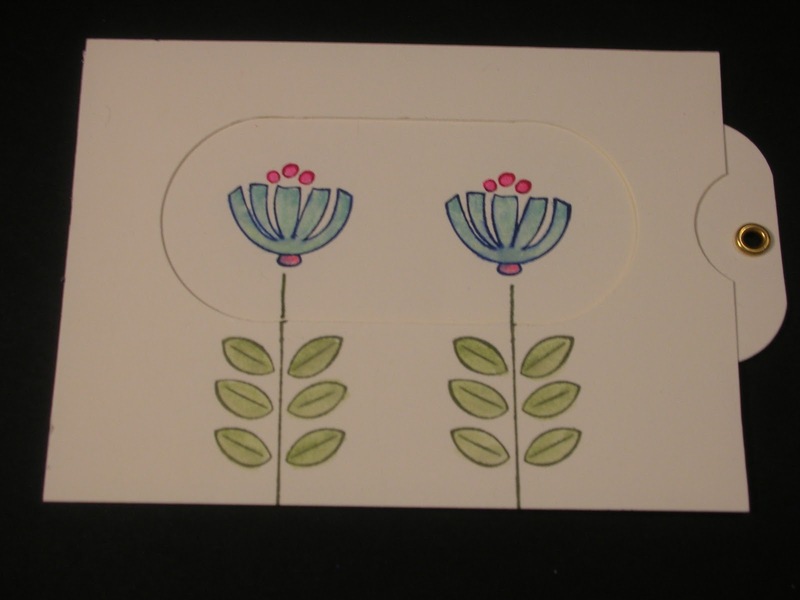 Slide tag into punched piece and stamp buds. Use marker to draw in stems. 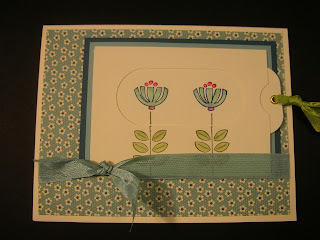 Layer piece on Baja Breeze cardstock and then Not Quite Navy. Note they all line up on the bottom. Attach to Designer paper and attach Baja Breeze ribbon around paper and tie knot. Attach Pear Pizzazz ribbon to tag. Attach to card. Now your flowers are ready to bloom! Hello Spring!